Summer is just around the corner, so it’s time to start thinking about your plants. Whether you grow them inside or out, you’ll need to water them throughout the season. 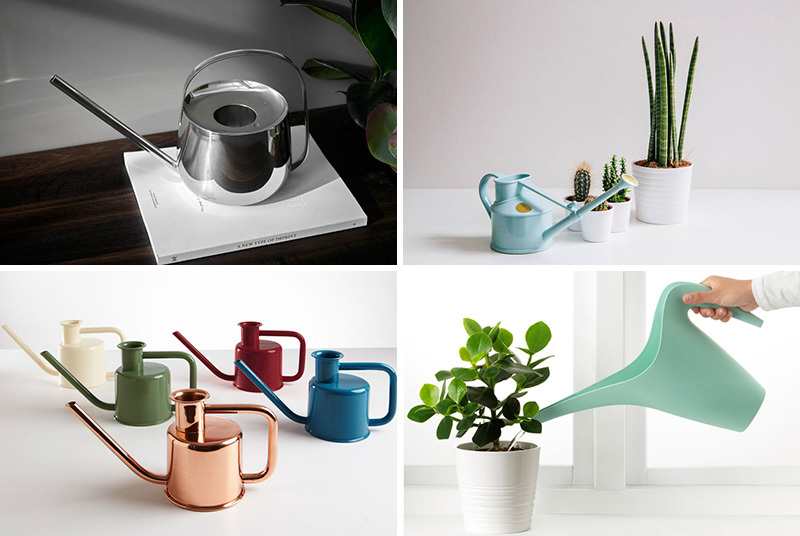 So we’ve compiled a list of stylish and ergonomically friendly watering cans for you. 1. 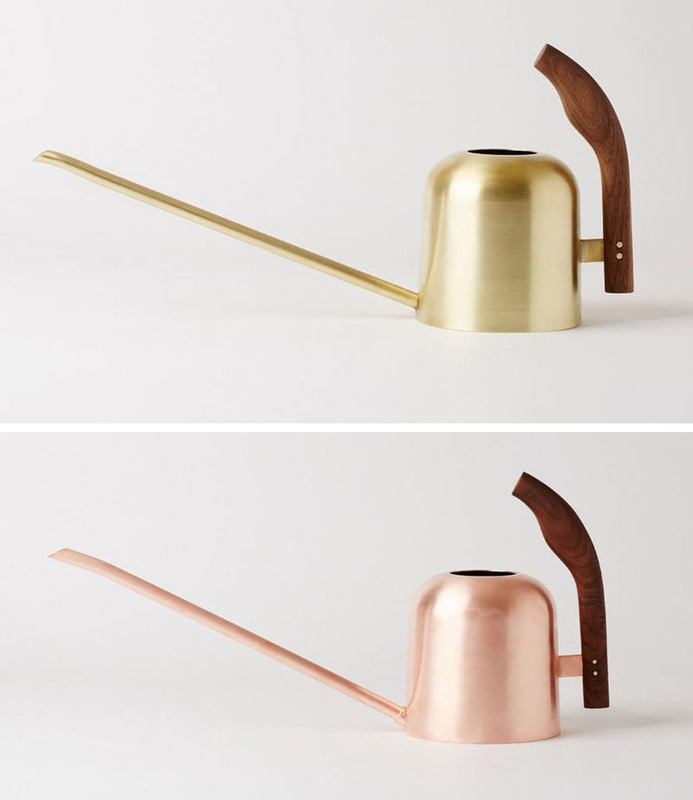 The long spouts on these metallic watering cans make them perfect for hard to reach plants, and they spruce up your decor when not in use. 2. 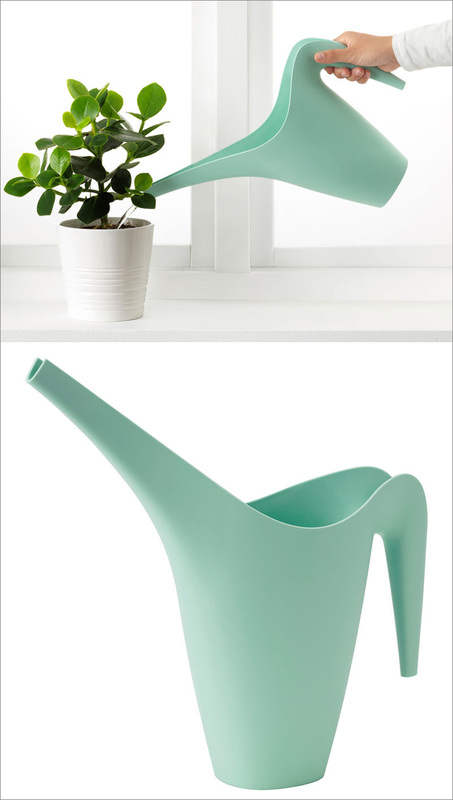 This mint colored watering can can also be used as a drink pitcher simply by removing the lid and using the long spout as a handle. 3. 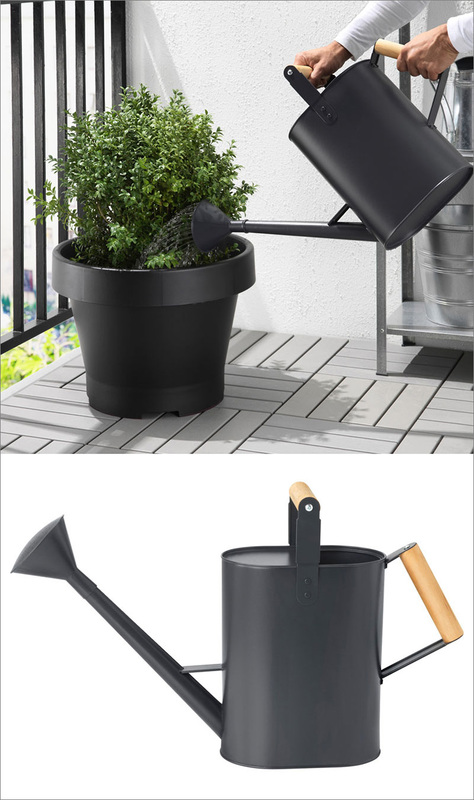 The matte black finish on this watering can, and the wooden handles give it a modern look while maintaining the traditional form. 4. 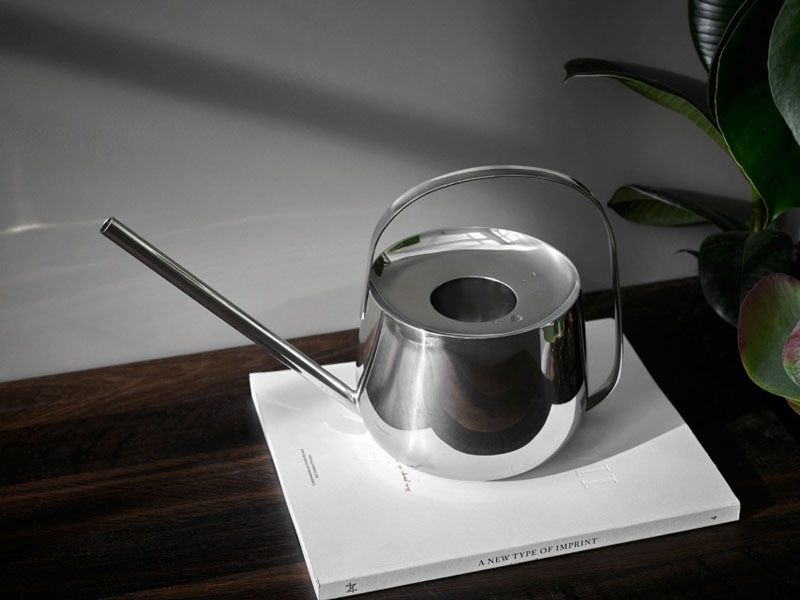 This minimalist watering can is made from a polished metal, giving it a constant shine that will have you wanting to display it just as much as your plants. 5. 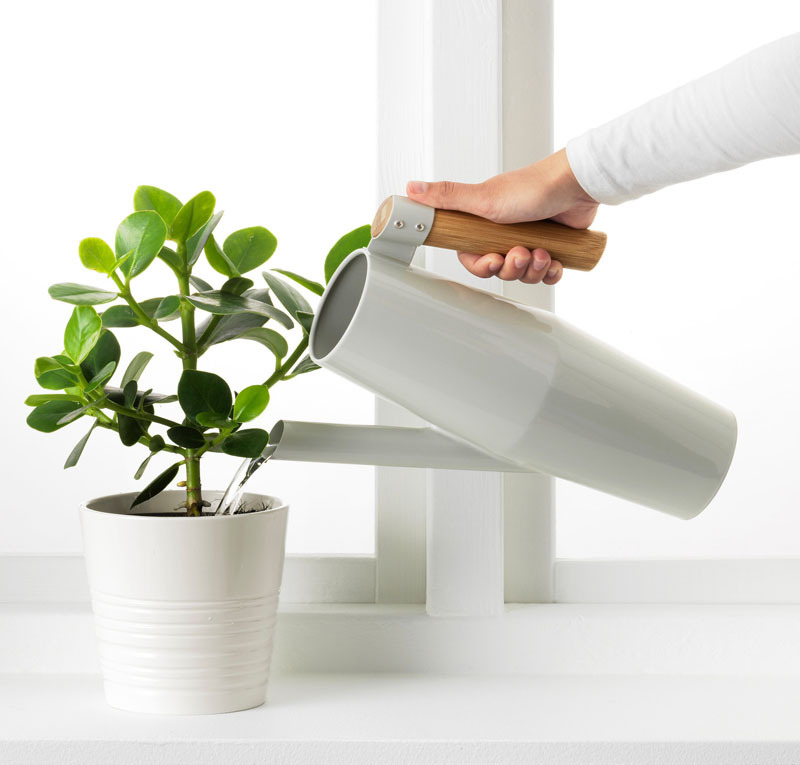 With the wood handle and the soft grey metal, this watering can will blend right into a minimalist interior full of plants. 6. 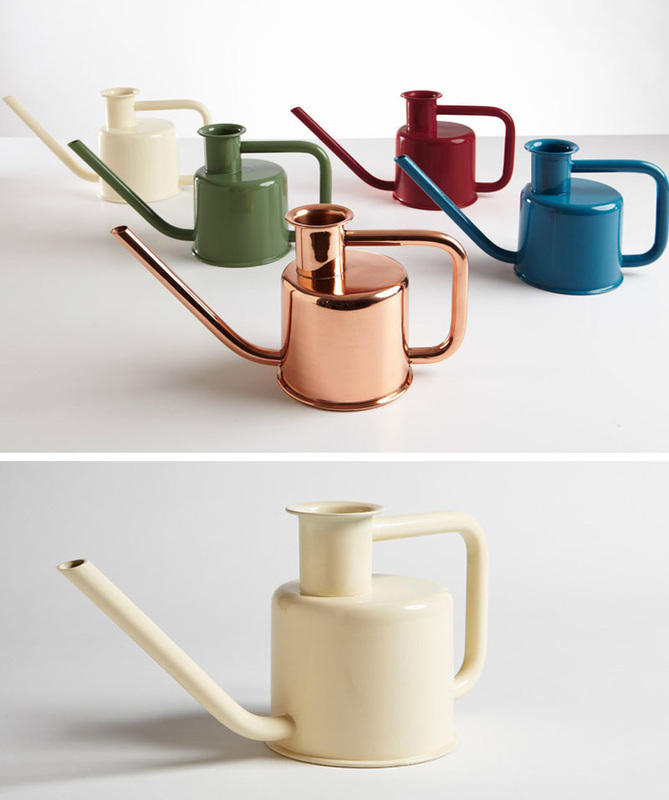 These small watering cans come in a range of fun colors making them perfect for watering your sprouting buds. 7. 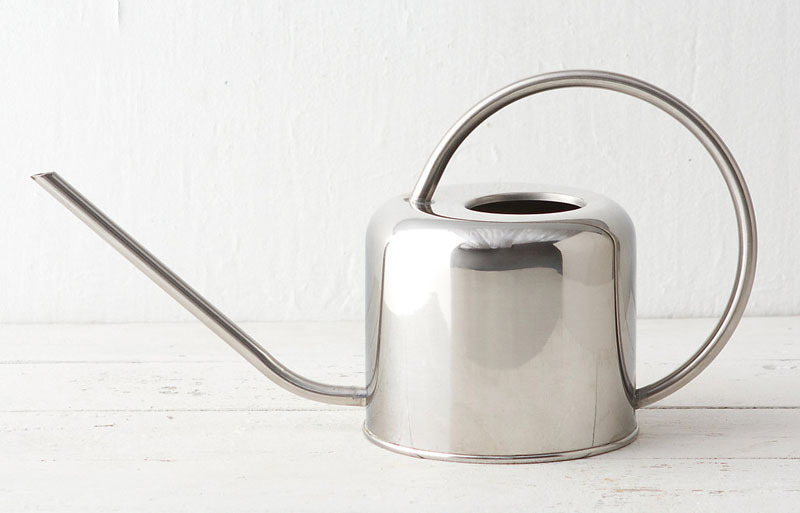 The timeless design of this stainless steel watering can makes it perfect for both new and experienced gardeners. 8. 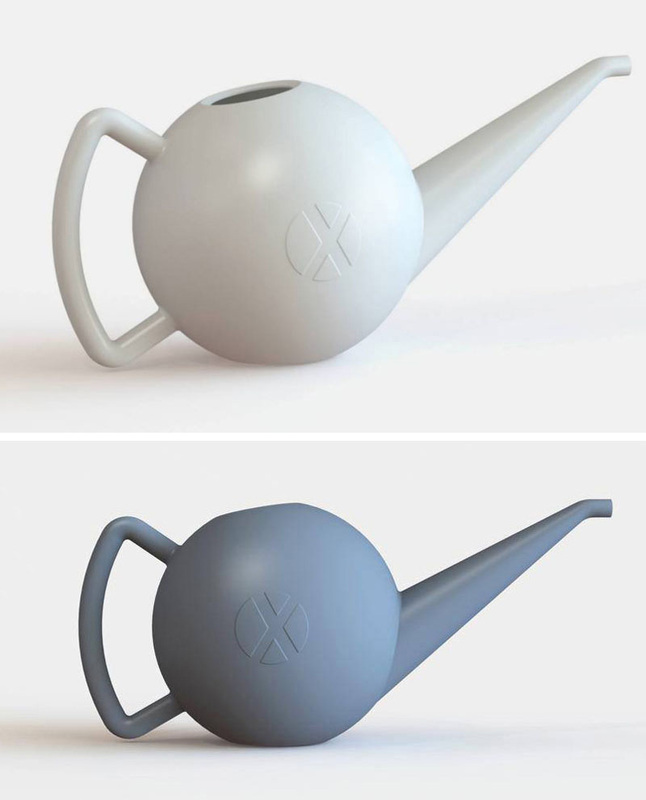 These small watering cans feature a simple design and long spouts, making them good for getting at hard to reach plants. 9. 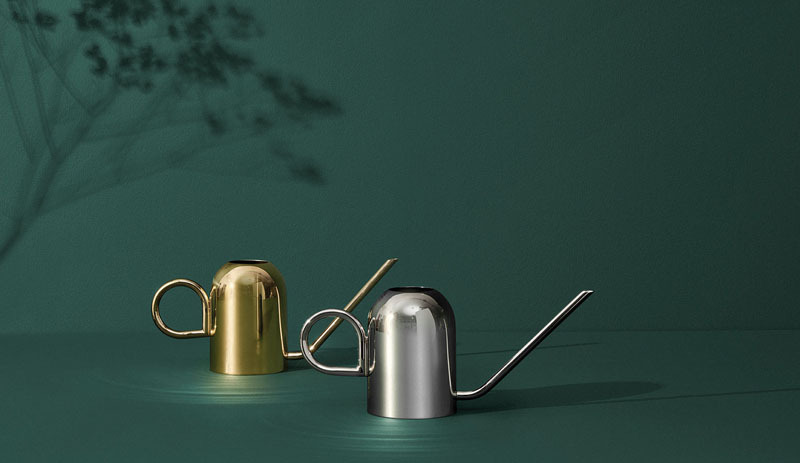 Available in both silver and gold finishes, these modern watering cans add a metallic touch to your interior and will help keep your plants thriving all year long. 10. This pastel watering can is large enough to be used on your potted plants outside, and compact enough to be used on your indoor plants. 11. 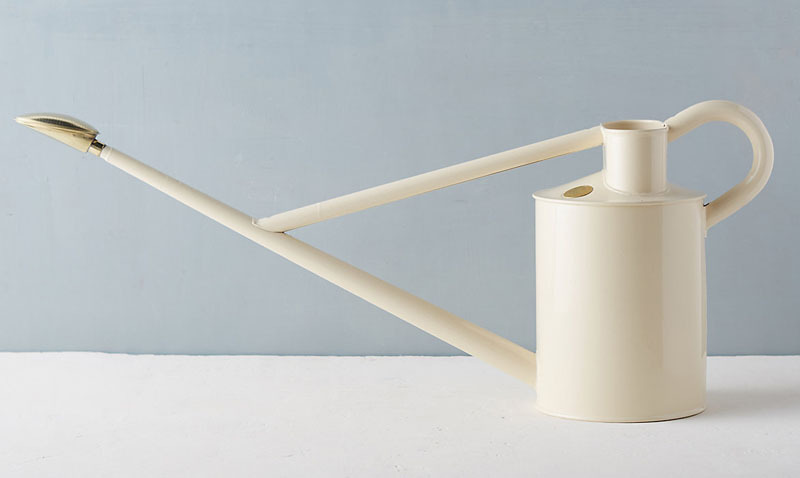 This long spouted watering can has been made from sturdy steel and has a timeless design to ensure that it lasts a lifetime. 12. 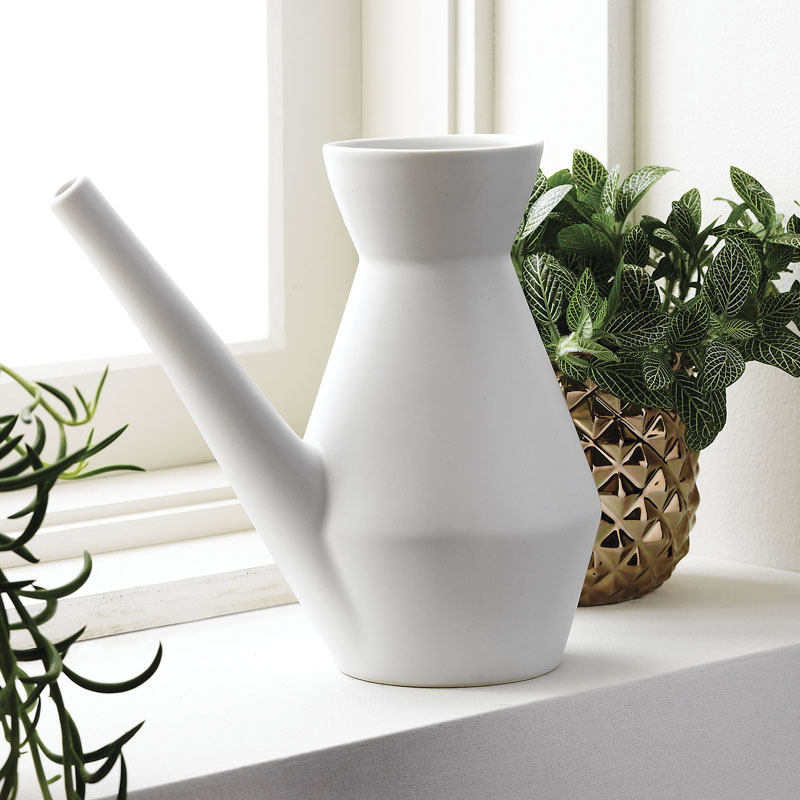 The lack of a handle on this watering can gives it a minimalist design that’s still easy and comfortable to use because of the narrow neck and long spout. 13. 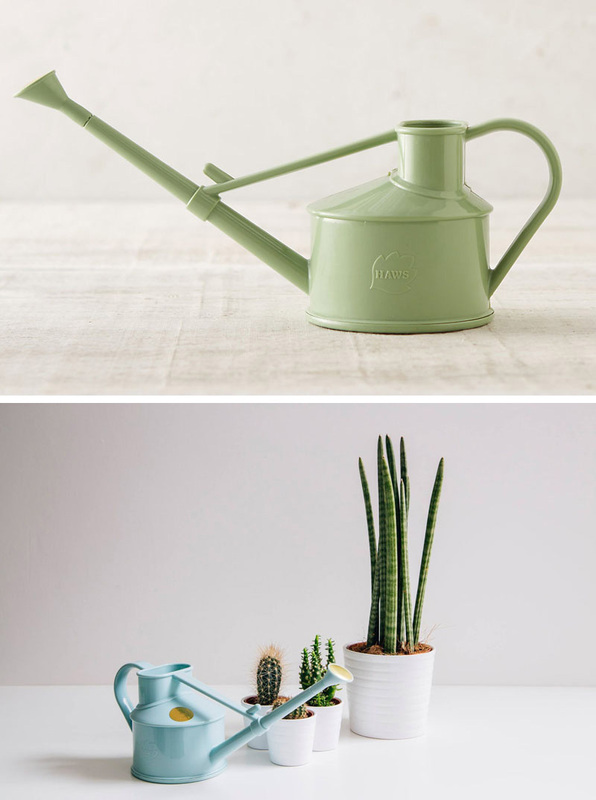 These fun, small round watering cans are perfect for watering your indoor plants or plants sitting on a small deck or patio.